Adapted from an Ottolenghi idea–this accompanied a spatchcocked chicken recipe out of the same stable for dinner with some friends the other night. Ottolenghi adds some crumbled chevre [goat’s cheese] which would make a good light supper dish with a salad or some broccoli. In a bowl turn the wedges over in 2 tablespoons of the olive oil and season them. 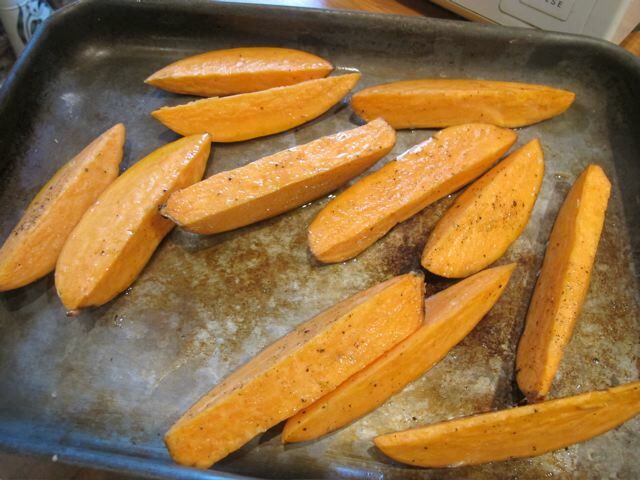 Lay the wedges skin side down on a baking tray. Roast them for about 25 minutes–until soft. 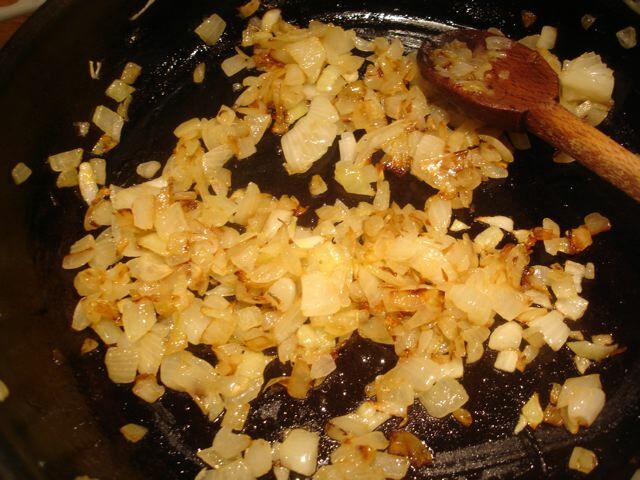 While the potatoes are roasting, gently brown the chopped onion in the remaining tablespoon of oil. 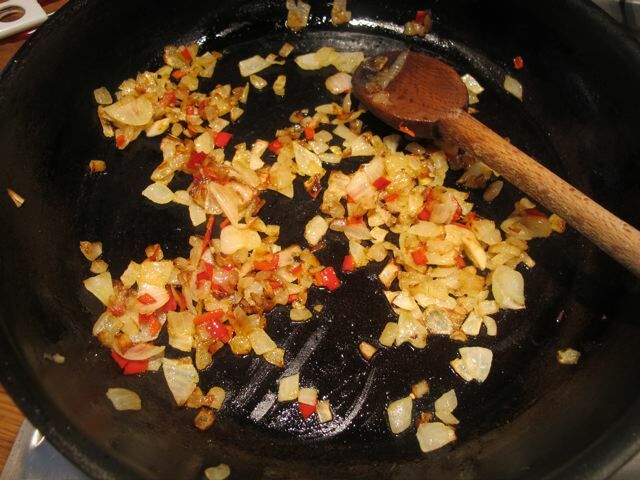 Add the chili after about fifteen minutes letting it soften and meld in with onion. We had the left-overs mixed in a salad last night with a handful of dry-roasted pumpkin seeds for added crunch! Will add that recipe to my repertoire – minus the chili tho, maybe some of our garden red peppers instead! We do love sweet potatoes. Right now it is squash & pumpkin season here, and I am making cream of pumpkin (also homegrown) soup to take to my spinning guild potluck lunch tomorrow. I like to add ginger, a chopped apple and some maple syrup to zip it up a bit. Thanks for this. 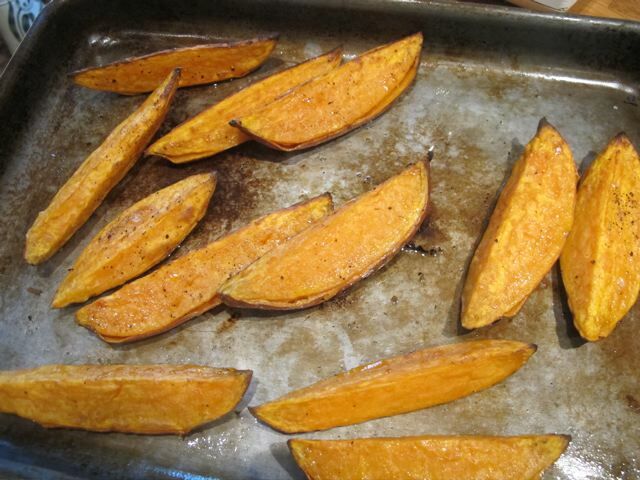 Sweet potatoes are so good for you, but I have a hard time fixing them so that I actually like them. Will make this right away. We once paid our respects at Graceland! Now this looks interesting,roast sweet potatos with chiles I am rather like these, though Jimmy is not.Thank you Robin my lunch tomorrow I think. Now this looks interesting,roast sweet potatos with chiles I rather like these, though Jimmy is not.Thank you Robin my lunch tomorrow I think. Sorry hit the enter key twice. Just wanted to let you know your cookbook is available in the US (a few days early). Just got a copy. Can’t wait to start cooking this weekend. Thanks for letting me know, Robin–hope you enjoy it! This sounds soooooo good. 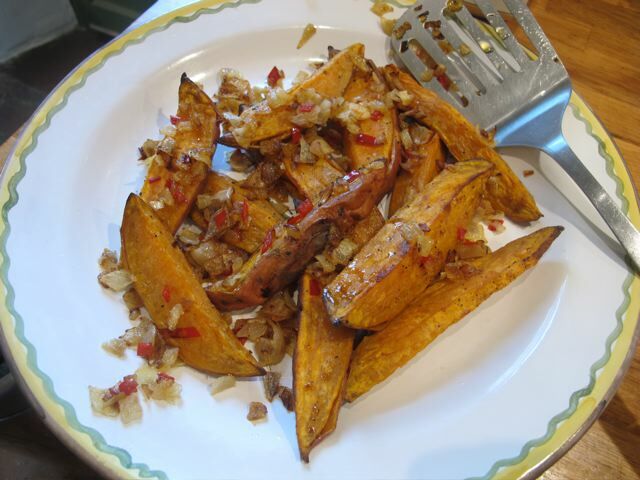 As it happens I have a big bag of sweet potatoes I’m trying to decide how to fix. My friend Miss Linda brought them to us because they’re harvesting right now (we’re in Florida-US). I always have a deluge of them this time of year, and I’m trying to stay away from making sweet potato pie and sweet potato casserole. I have another friend, Miss Virgina, who drives to Mississippi every year and buys from a farmer she knows there, and she always brings us a bag. She can’t stand to eat sweet potatoes from anywhere else. Lucky for me they store well and get better with age. Has anyone tried to freeze cooked sweet potato? Not only am I picking up cooking tips, but studying language as well. I had to take to an online dictionary. I spatchcock chickens and butterfly sardines! Thank you for another straightforward but very tasty-looking recipe. We like sweet potatoes very much, but supply is a problem here is Poland. On the other hand, we seem, like Shelagh, to have plenty of pumpkins… (hint, hint. ).